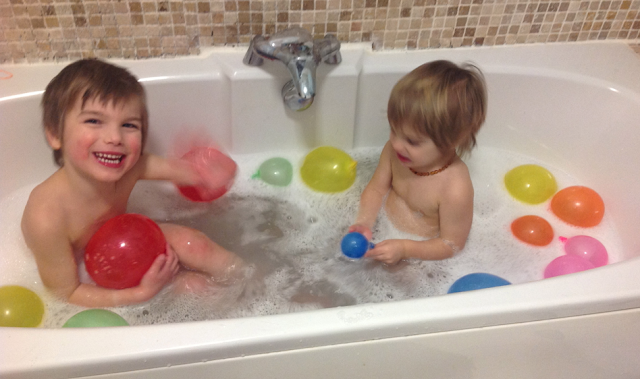 Jovial Spondoodles: Rainbow Bath Week Day 9: Rainbow balloons! 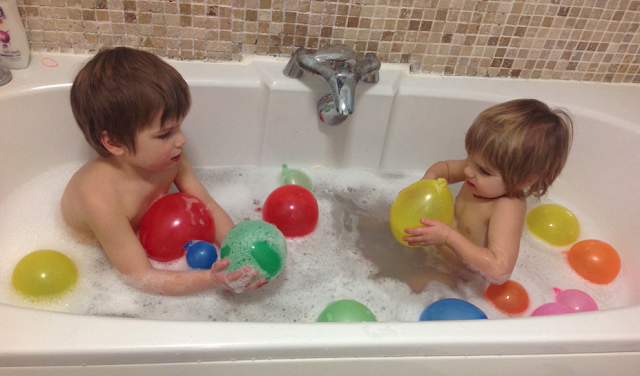 To celebrate the end of our Rainbow bath week ( not strictly a week anymore I know!) 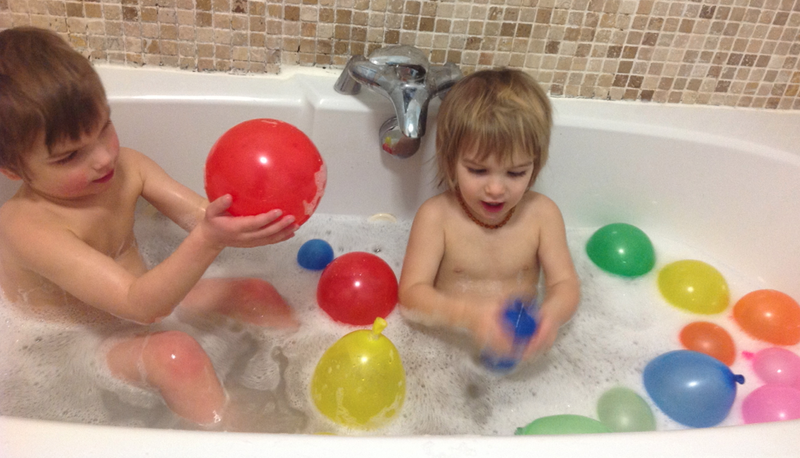 we filled the bath with balloons in all the colours of the rainbow, as well as lots of bubbles! 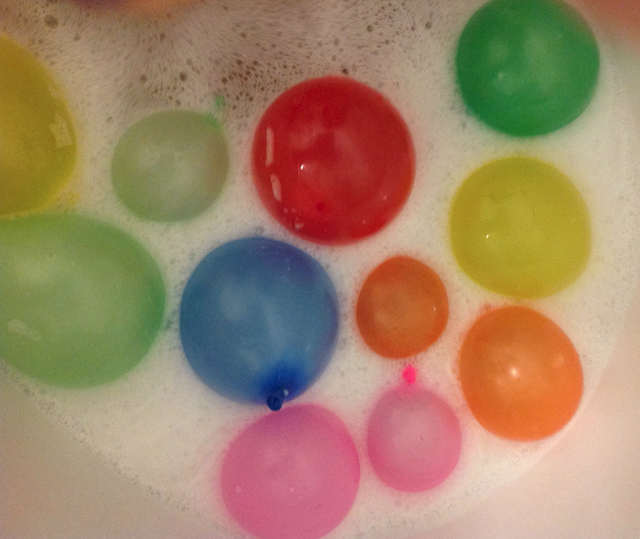 I made the balloons both with hot and cold water for an extra sensory element! They loved working out which was which for the first 5 minutes but they very soon all adjusted to the same temperature in the water. 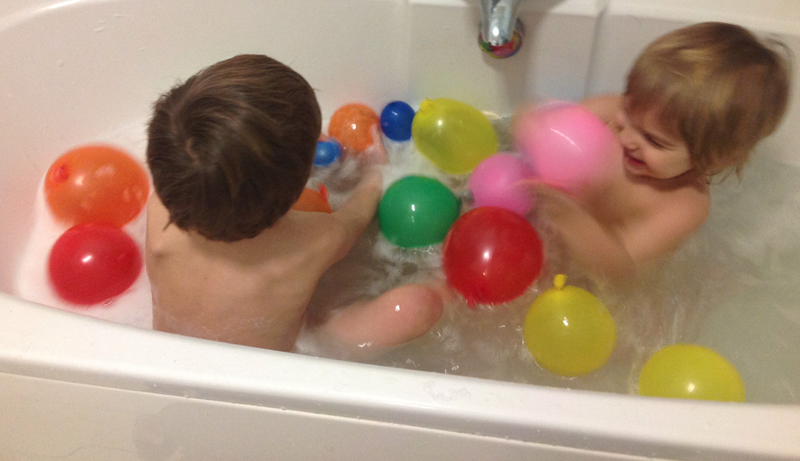 Lots of splashing and catching and the odd escapee which thankfully didn't burst! I tried asking Eden to pass me a specific colour but as fun as the rainbow bath week has been it doesn't seem to have worked so far as to colour recognition - I'm sure it has helped though. It certainly has been lots of fun!